Price comparison is something that almost any seasoned mother does to help make ends meet. But could this skill be important to expectant mothers as well? When looking at delivery costs in the state of California, one research group says “most definitely,” especially where the cost of delivery is concerned. According to lead author Dr. Renee Hsia, an associate professor of emergency medicine at the University of California, uncomplicated vaginal deliveries ranged anywhere from $3,296 and $37,227 in the state of California. 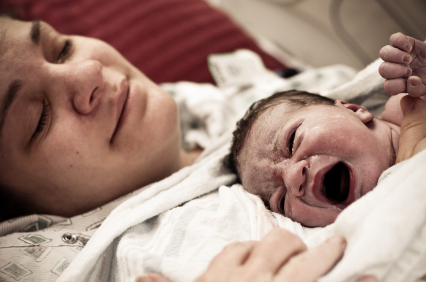 For cesarean births, costs ranged anywhere from $8,312 to almost $71,000. That is one huge price gap! According to Hsia and her colleagues, this is a serious problem for the consumer-oriented medical system that health care reform has promised to create. Even more disturbing is the fact that researchers could only account for 35 percent of the difference between the bills (variables like length of hospital stay, competitiveness of the market, ownership and operation of hospital, etc.). That means that 65 percent of the charges in California hospitals could not be pinned to something the researchers could identify. There were some trends, however. For example, the researchers found that hospitals with less competition or in the markets with more uninsured patients tended to charge significantly less. Hospitals considered for-profit and located in places associated with a higher cost of living or more severely ill patient populations had significantly higher costs. What’s most concerning about this is that, hospitals ended up only receiving about a third of what they actually charged because of discounts rates they had in place for private insurance companies (which vary from hospital to hospital and insurance company to insurance company). In fact, insurers paid only about 37 percent of the original hospital bill, meaning that hospitals billed an excess of $1.37 billion dollars they never received. The biggest concern is how these price differences affect new parents who don’t have insurance. With significant price gaps like these and no transparency on how much hospitals charge and why, new parents could be just one labor pain away from bankruptcy. But the cost difference does affect everyone, Hsia and Guterman said. Co-payments and deductibles can be impacted by the differences in costs, which, even if the strain isn’t enough to drive an insured couple to bankruptcy, it could set them on a difficult path right after what is supposed to be one of the best days of a parent’s life. And unfortunately, while soon-to-be parents may be able to ask questions and hopefully get some answers, they may end up finding it difficult to do price comparisons because, as of right now, there is no direct correlation between cost and care. And that makes hospital care one of the most confusing costs for Americans.